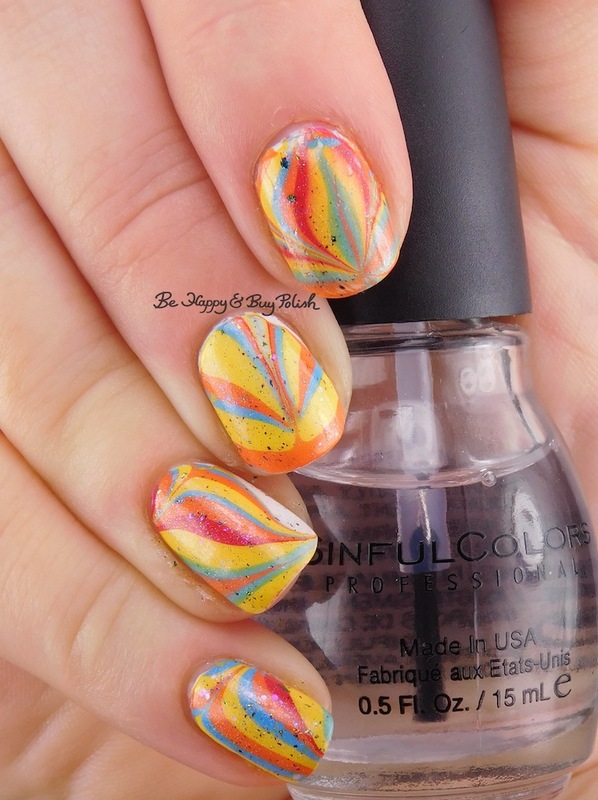 Today I have a guest post from Jessica of Be Happy And Buy Polish for you! I’m so excited! Jessica is a good friend and a blogger I admire tremendously. She’s soo sweet and just a good soul. Let’s see what she prepared for us! Hi everyone! My name is Jessica and I blog over at Be Happy And Buy Polish. I’m excited to stop by here at Moni’s Mani today for a guest post. Monica is such a wonderful blogger, so sweet and genuine, and I’m always jealous of her wonderful swatches! I had picked up several SinfulColors nail polishes from the PRIDE collection and had heard they water marbled beautifully, so I just had to try it out. I started off with 2 coats of SinfulColors Snow Me White. Then I water marbled with Resilient (red), Bye Felicia! (yellow), Gogo Boy (blue), Sugar Pumpkin (orange). They did watermarble very nicely indeed! Yeah, I added a coat of Pahlish What A Terrible World. WATW is also a clear-based topper, it’s a holographic with color shifting flakies. I couldn’t quite make up my mind if all the added stuff was too much or not enough, but in the end I had it on for almost 3 days (a lifetime to this blogger!). I’d love to know what you think of this! Please come check me out at my blog, Be Happy And Buy Polish. Thanks Monica for letting me guest post for you. I hope your recovery is going smoothly! Agh!! 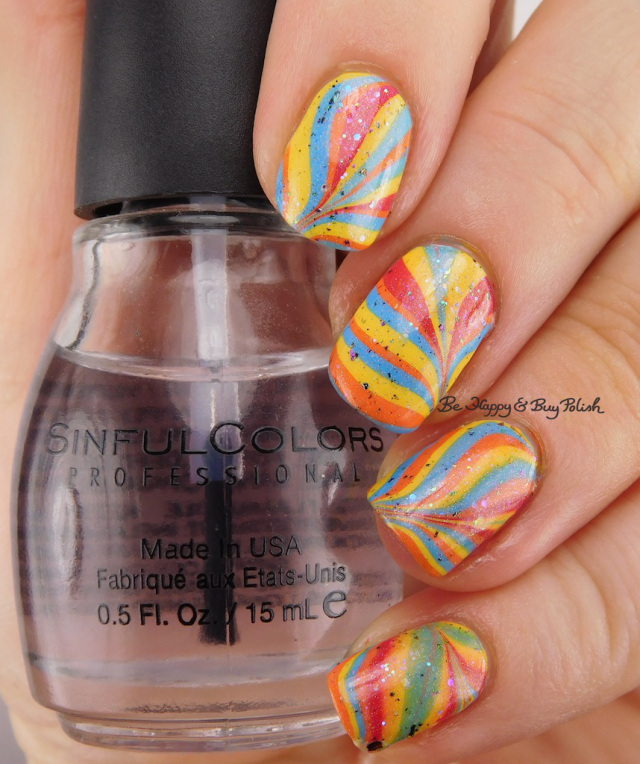 I’m so jelous of her watermarbling skills and of those close ups!! Thank you so much for helping me out Jessica! !